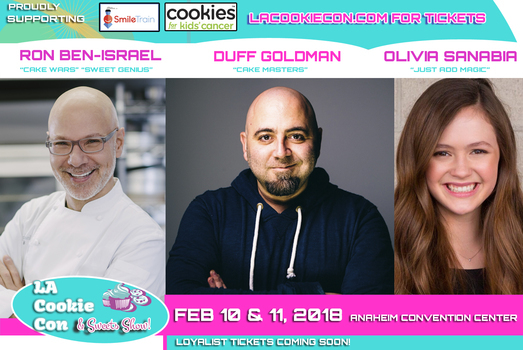 As conventions are becoming a more mainstream way to gather people with similar passions, anyone with a sweet tooth might’ve been drawn to The LA Cookie Con and Sweet Show, on Saturday February 10 and Sunday 11, 2018. Now reaching its 4th year, the display of desserts made its home this time at the Anaheim Convention Center. In 2015, LA Cookie Con started out in the Pasadena Convention Center before moving to the Los Angeles Convention Center in 2017. Now, it has gained enough popularity to fit the location that hosts WonderCon and D23. This showcase provides vendors with a place to sell new baking products, enables exhibitors to give out samples of their treats, and offers workshops to teach basic baking. There were three live stage zones as well, which hosted panels teaching marketing in addition to baking. They even had a kid’s zone where children could decorate cookies. Like other specialty conventions, relevant celebrity guests came for photo-ops, signatures, and workshops. This year Duff Goldman, celebrity chef and TV personality, famed owner of Charm City Cakes and star of the show Ace of Cakes appeared on the main stage. He shared his entrepreneurial journey and answered fan questions. 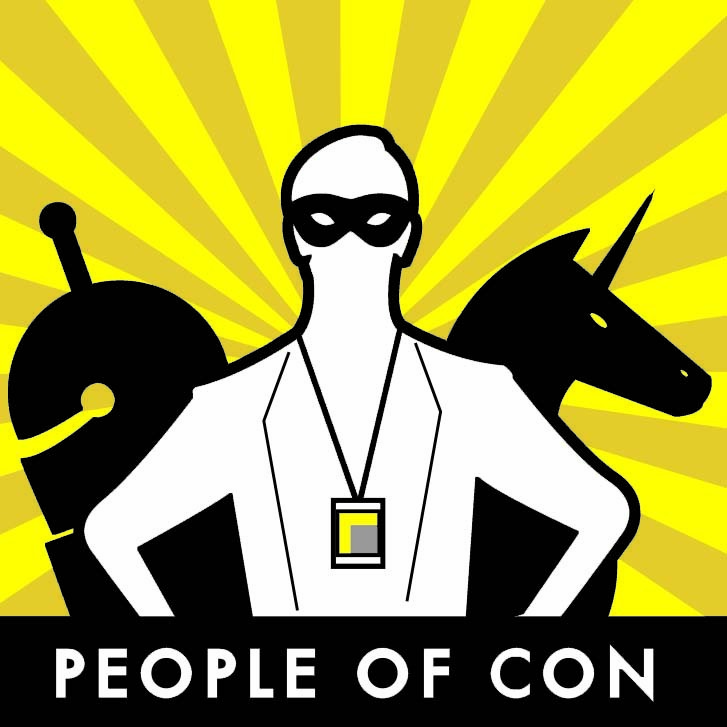 Though it appears the show is growing, there were many mishaps that People of Con hopes the promoters will learn from. First off, the website had dead links to exhibitors who were supposedly appearing, but who the site couldn't even prove existed. It seems they simply added to the list of vendors from years’ past, instead of providing a current list, giving the appearance of a broader turn-out. Sweeping crowds are usually a good sign for any exhibit, but it only hurt this event. Tickets were available at discounted rates through Groupon and Goldstar bringing in vast numbers of people, who aren’t used to the convention lifestyle or know convention etiquette. It also meant that on both Saturday and Sunday folks were standing in line for at least two hours to get in the door, and if someone forked over the extra money for VIP (supposedly including early access) they ended up entering around the same time as everyone else. Another red flag was the lack of appearance from larger corporate sponsors. Though no one expected Betty Crocker to be signing autographs, notable baking accessory companies often present at food and dessert shows, such as Tupperware or Pyrex, were absent. These bigger companies are needed to provide the free swag that badge-holders have come to expect. Strangely, of the vendors who were present, many weren’t part of the confection community. There were people selling filtered water machines, cell phone chargers, beef jerky, and tamales. As for the cookie, cupcake, and churro companies who had displays, many ran out of free samples or were sold out of products before lunch time both days. With a small amount of vendors moving to a larger venue, it meant using only half of the hall. This created a giant empty space on one side of the locale, while the other was crammed with tables, creating minimal aisle space to walk in. It became difficult to peruse items for sale and created a stampede effect whenever a free sample went up for grabs. Although it was crowded and unorganized, I was not left with an overall bitter taste from the experience. I won cake-pops from The Sweet Dandelion Bakery, enjoyed a free massage in the separate massage zone, and loved seeing the talent of the winners from the 4th Annual World Dessert Table Championship. The the theme this year was Disney! Despite all these inconveniences, it appears the LA Cookie Con and Sweet Show will be returning for 2019 as they are already requesting sponsors. Hopefully as each year passes, they will learn to address these concerns, maybe compelling visitors to give more than a 1 star review on Yelp. 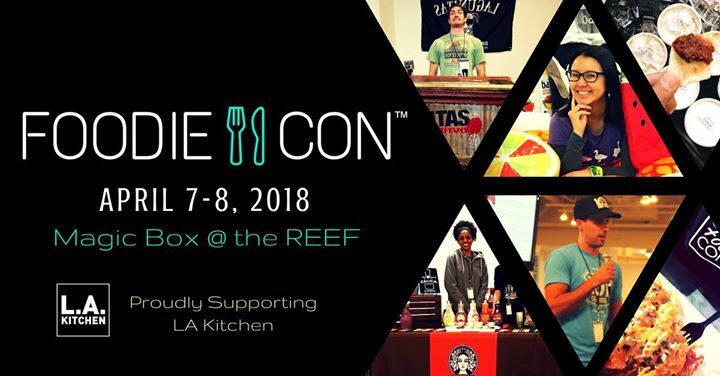 The next food convention POC will be visiting is Foodie Con 2018!